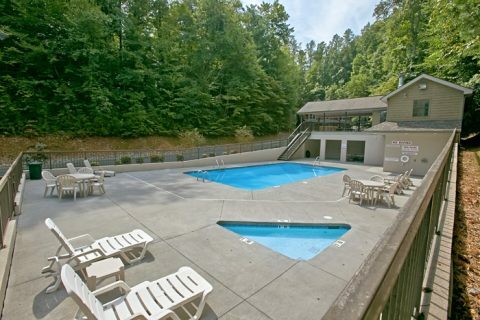 Planning a special honeymoon or anniversary trip in the Smoky Mountains? 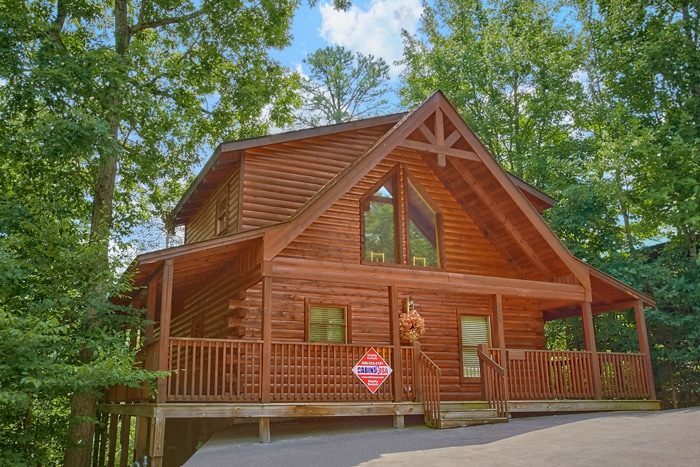 Experience "Mountain Star," a 1-bedroom cabin in Brookstone Village Resort close to Dollywood. 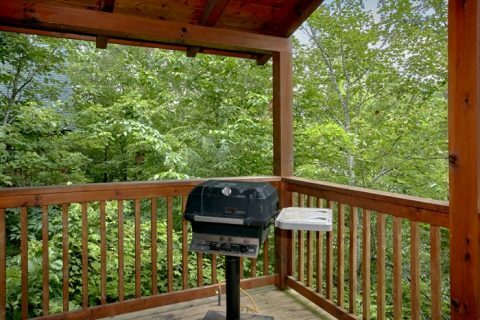 This cabin's prime location affords couples quick access to dozens of attractions, shows, dinner theaters, and more along the Pigeon Forge Parkway. 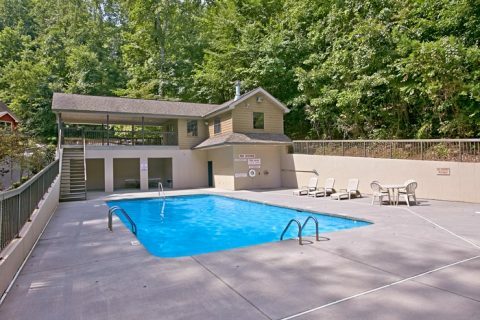 Even better, this cabin features stylish décor, premium amenities, and swimming pool access at a resort community pool. 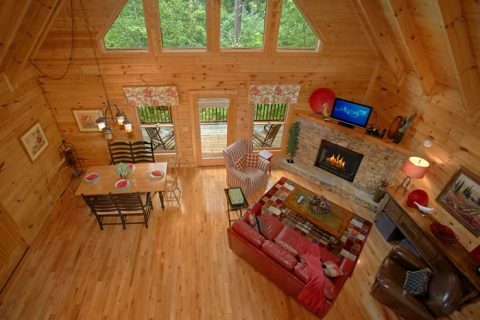 Couples who rent this honeymoon cabin in Brookstone Village Resort will have no trouble finding great entertainment in town. From Dollywood to the Titanic Museum to The Island, there is more than enough to see in Pigeon Forge. Better yet, couples can easily reach Gatlinburg and the Great Smoky Mountains National Park by traveling on main roadways. 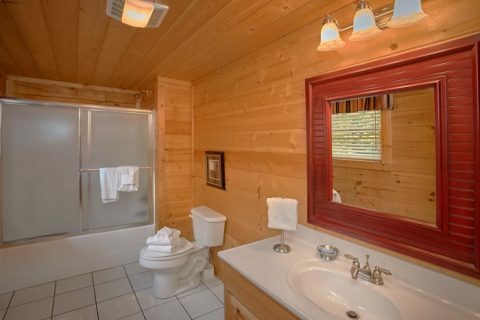 When you and your sweetie come back to your comfortable Smoky Mountain honeymoon cabin, you can look forward to relaxing with top notch amenities. 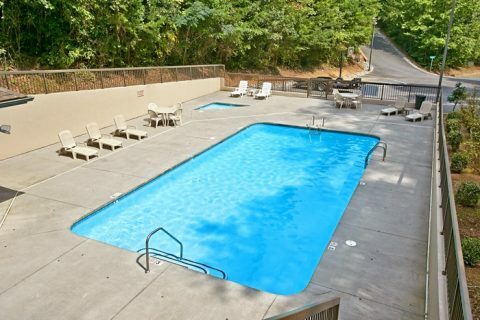 Enjoy a swim in the resort pool nearby to stay cool during the warm summer months. 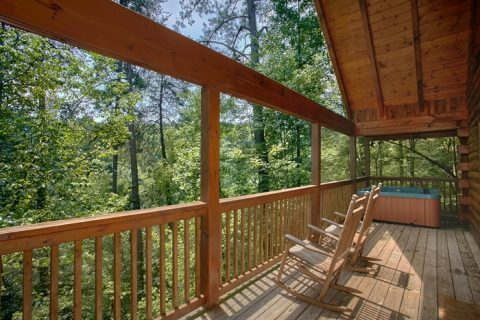 Take a dip in your hot tub on your cabin's porch any time of year. 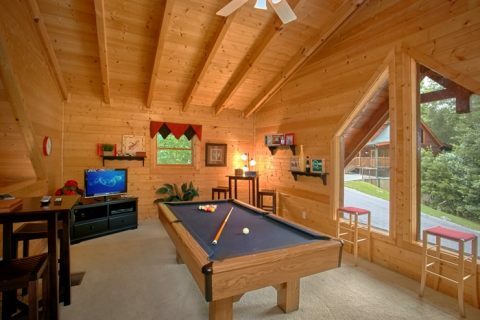 Play a few rounds of 8-ball on the pool table in the loft area. 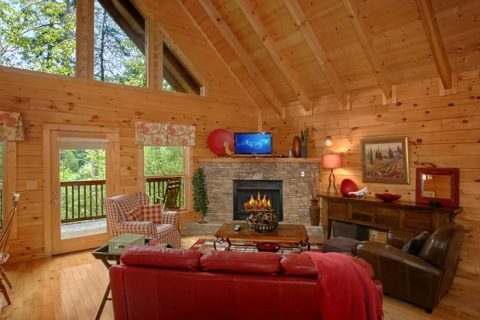 To finish off a perfect day in the Smokies, enjoy a movie next to a romantic gas fireplace. 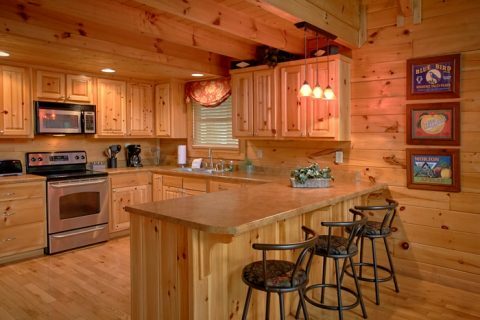 Though there are plenty of restaurants available in town, your in-cabin kitchen with stainless steel appliances gives you the option to prepare a romantic dinner for two in the comfort of your cabin. 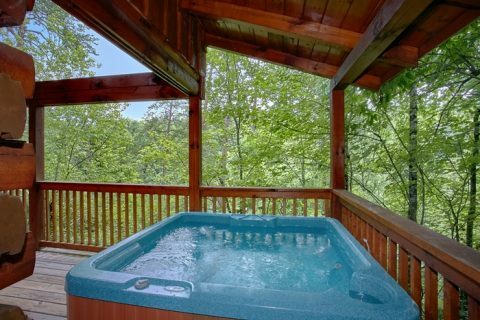 Start a new day in the Smoky Mountains after a restful night in your king-sized bedroom. 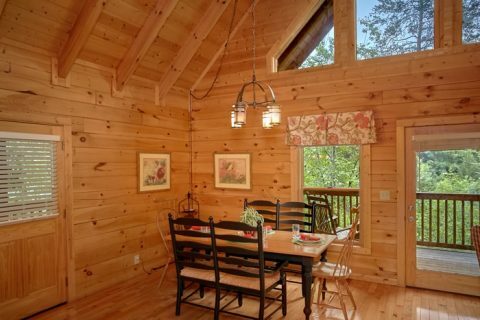 WiFi Internet access is available in this charming log cabin in the Smokies. Book your 1-bedroom cabin close to Dollywood and save with Cabins USA Gatlinburg's online discount! 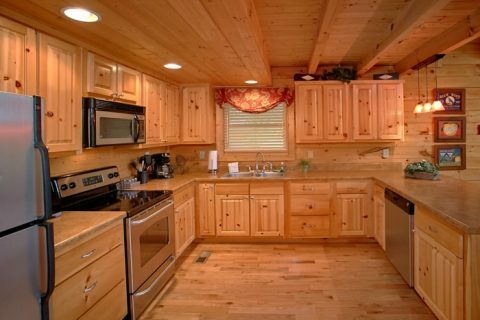 15% off the cost of your lodging is bound to make this quality cabin surprisingly affordable.